This was the closest they got to online dating back in the 1920s. 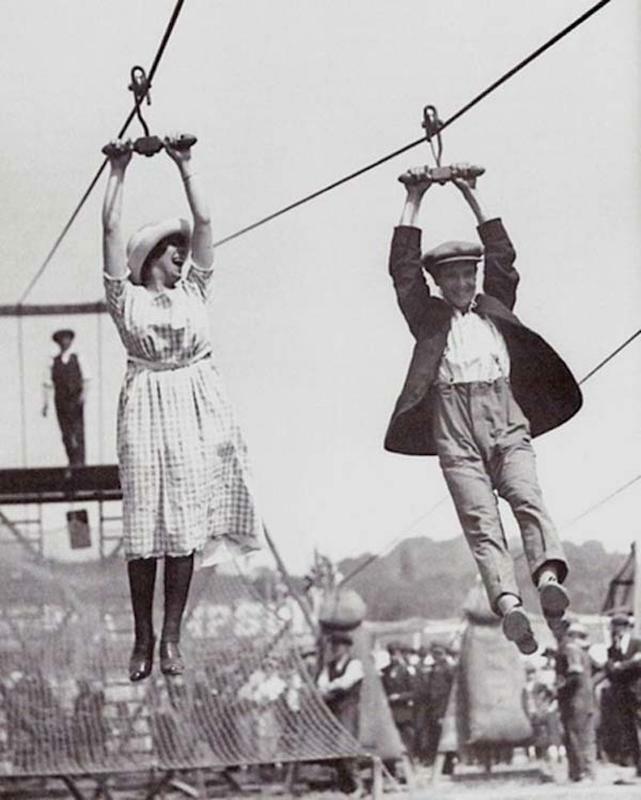 Long before the internet and social media changed human interaction forever, zip-lining was a popular activity for friends, families and first dates. While this technology has been used as a method of transport for over 2,000 years, the first recorded use of the zip-line as a form of entertainment was possibly in 1739, when Robert Cadman, a steeplejack and ropeslider, died when his rope snapped. Zip-lining appeared in the 1897 H.G. Wells novel The Invisible Man, and many attribute the development of zip-lines used today as a vacation activity to the Tyrolean traverses developed for mountaineering purposes.